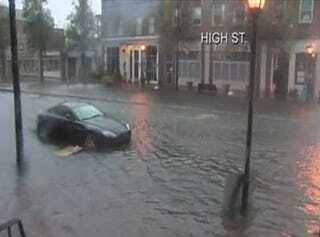 This b-roll from WAVY shows an Aston Martin Vantage sitting on High Street in Hampton, Virginia about to succumb to flood waters from a Nor'easter fueled by the remnants of Hurricane Ida. Let's stop this trend. Someone go save it! Seriously, turn around don't drown, though. Look for more advice on how not to die from flood waters soon.